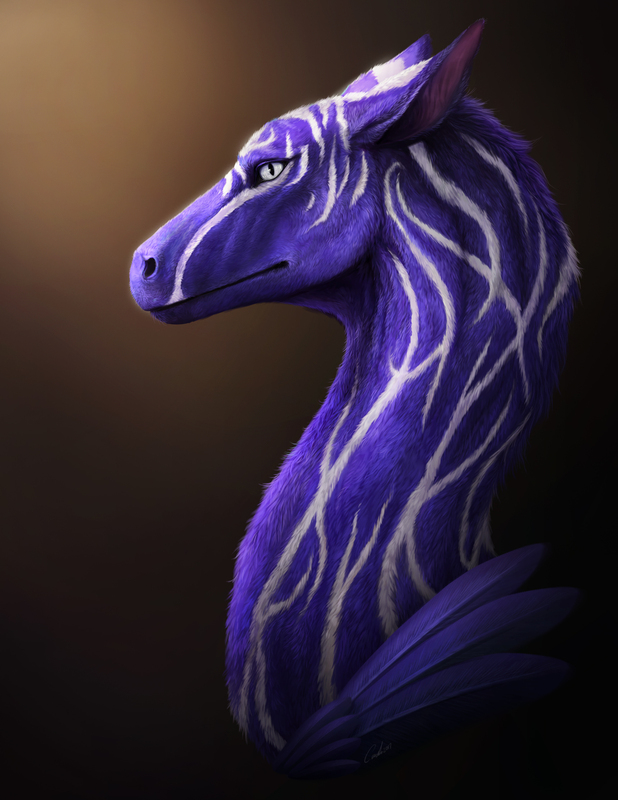 A realistic portrait depicting my furred dragoness, Rynthara. I always had some difficulties explaining the anatomy of her face to artists, and I couldn't be more proud of the final results shown here. She really has those soft but strong features I wish to see in a dragoness, and I am certain I will use this as a reference for her for every future commission. DAMN! That is mighty impressive, what a beauty she is! That gaze from her eye feels so alive! Thank you for commissioning this and sharing it, I hope you get plenty of commissions yourself so you can get more gorgeous art like this!